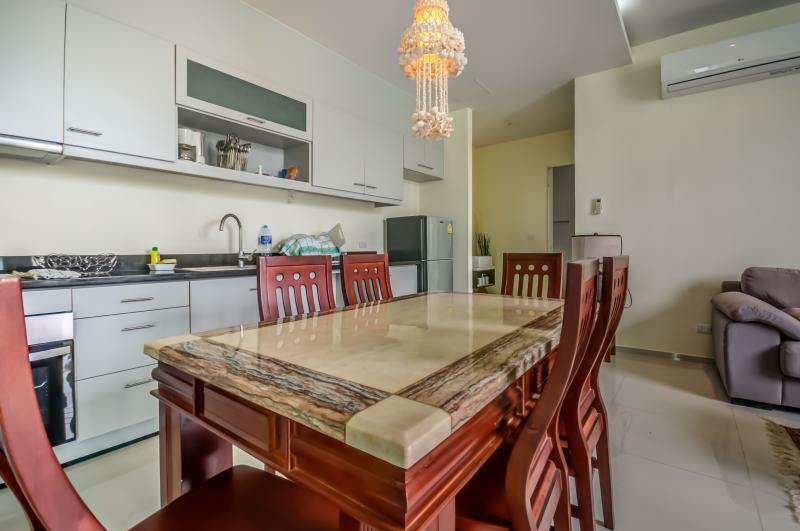 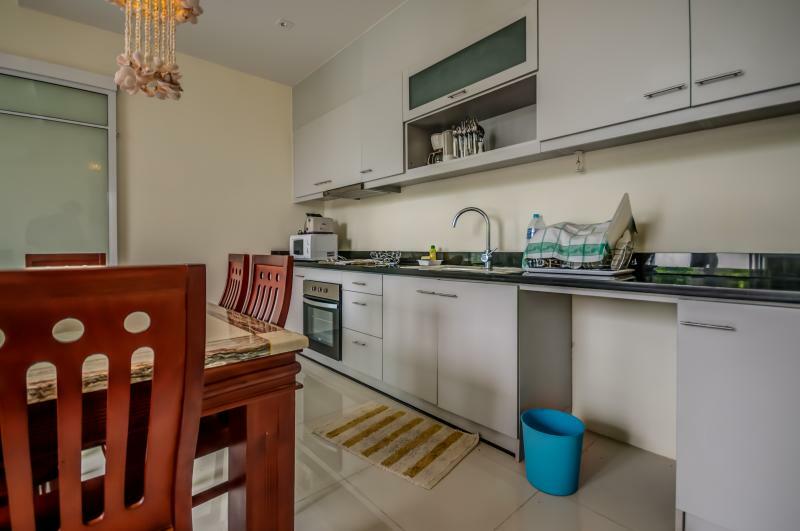 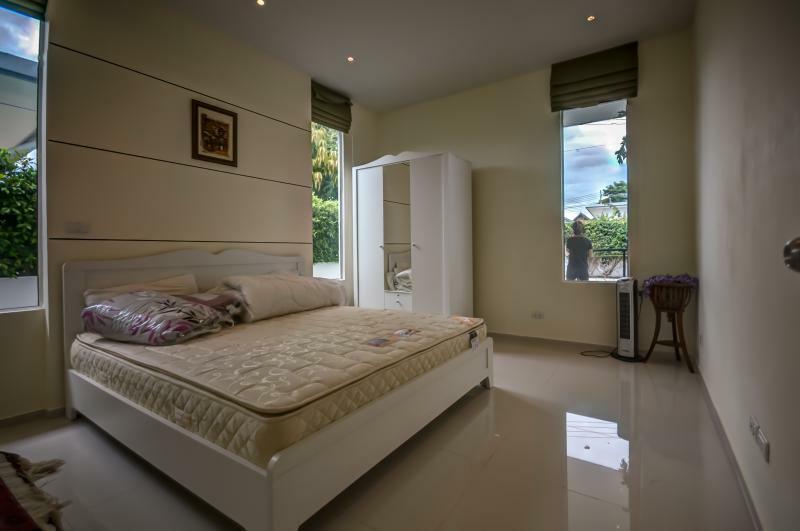 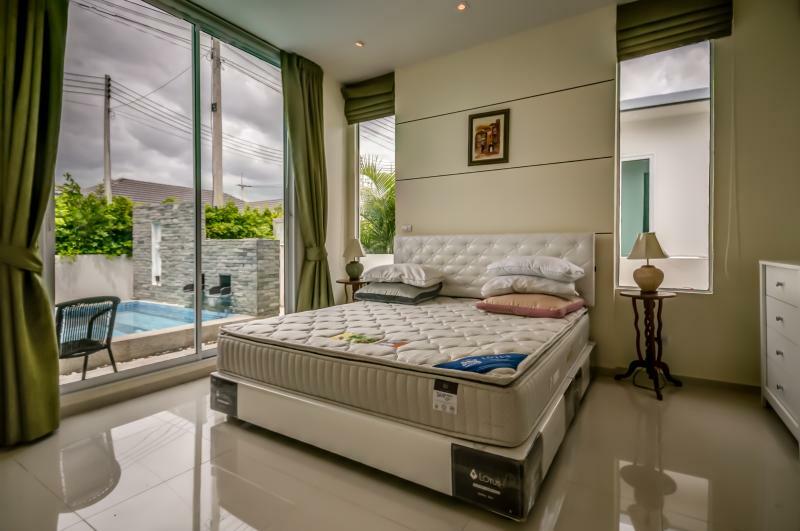 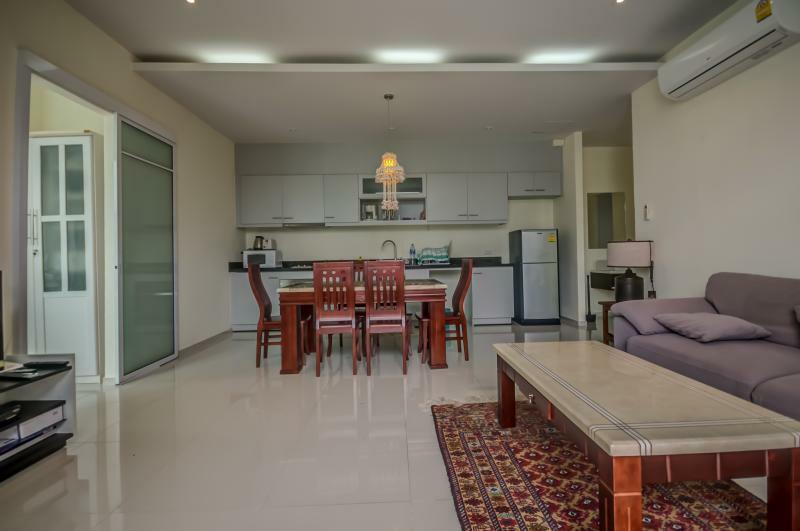 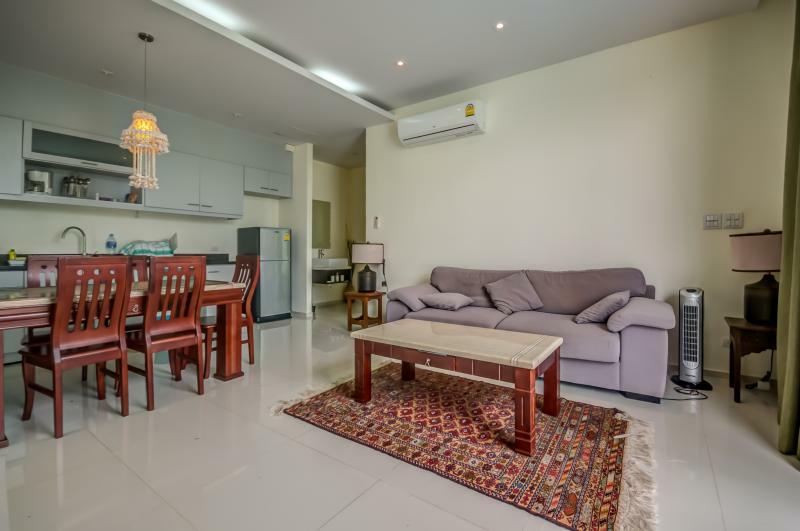 Location is within walking distance of Shopping Malls, the beaches and the Town Center. 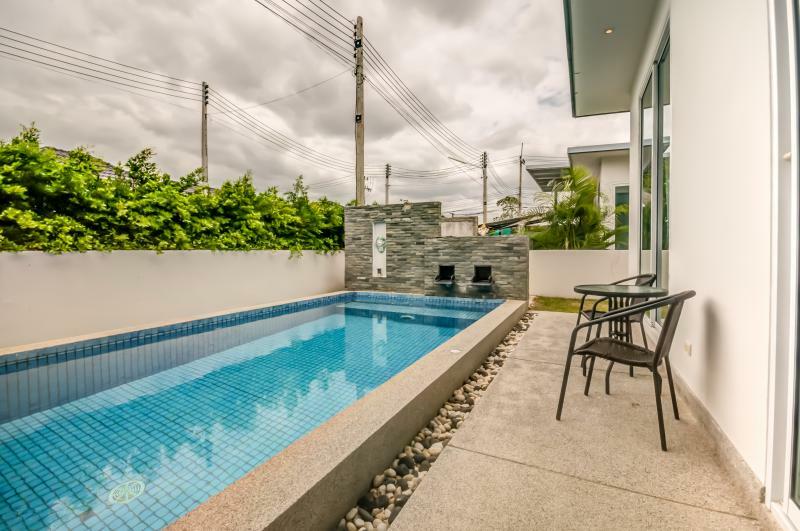 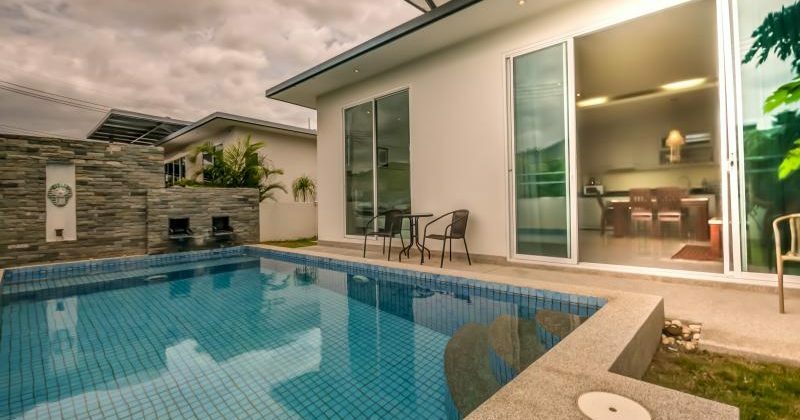 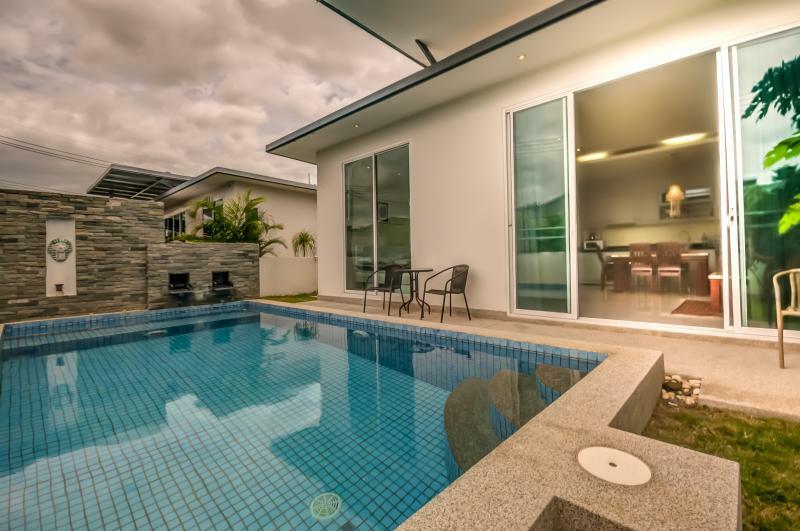 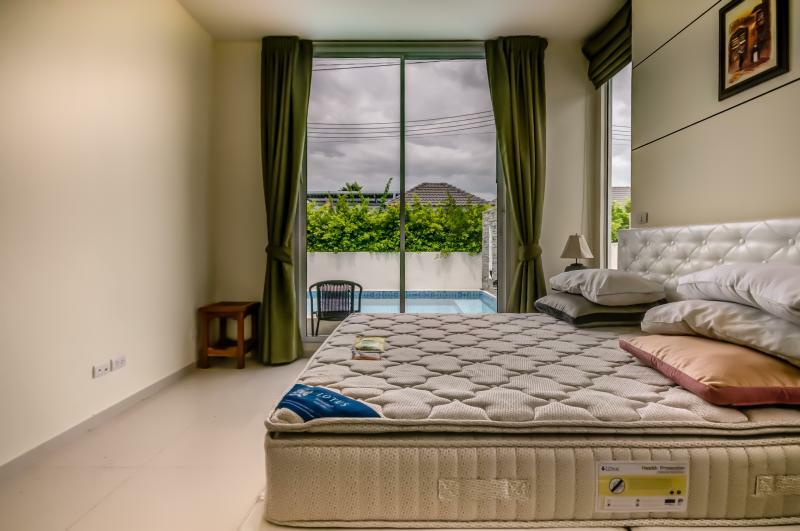 Nice design 2 bed pool villa near town featuring a spacious open plan living, dining and modern kitchen, 2 bedrooms with 2 bathrooms and outside is a small pool, BBQ area, driveway and entrance gates. 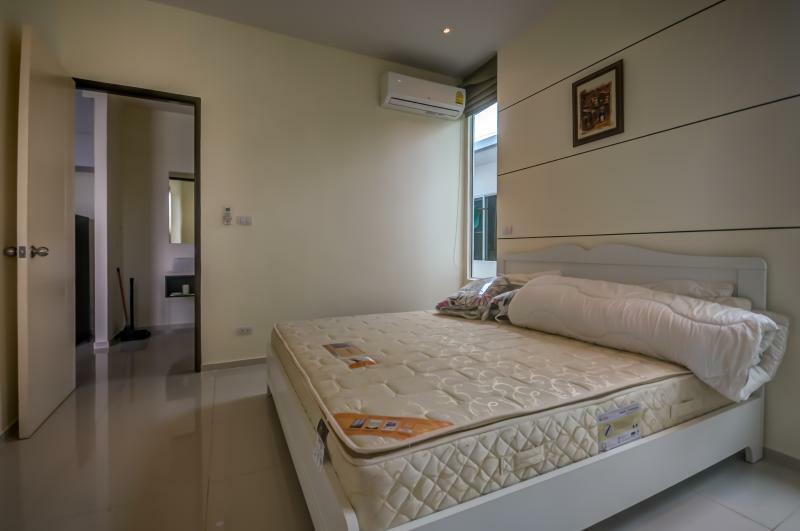 The Villa can use the facilities of the very nearby Clubhouse with 100 m long pool and restaurant.